A resilient, compressed sheet... that works! Ready to be cut for use in severe conditions. * Contact factory for application suggestions, especially for high pressures and temperatures (e.g., over 1000°F/538°C). As the operating temperature increases, the pressure limit of the gasket decreases. Woven compressed gasket sheet is then rolled into cardboard tubes for shipment. Surface nodules promoteflexibility and flow into oxidized surfaces & scratches, pores and steam cuts. Flat metalic leaf springs, jacketed with graphite foil, make this 80" x 80" sheet the most resilient gasket you will need. It takes physical abuse like no other graphite foil, handling and feeling like tough leather. Pyro-Tex gasket sheet eliminates the need for a compressing ring to prevent crushing. Layering of sheets allows for greater thicknesses. Eliminates shipping pallets: Gasket Sheets individually packaged in 3" cardboard tubes for easy storage. Die cut or shears to shape, do NOT use circle cutters. Available in sizes as large as 80" x 160" sheets. Single sheet thickness: nominal 0.075". Stainless steel foil is encapsulated in a thick expanded graphite foil jacket. 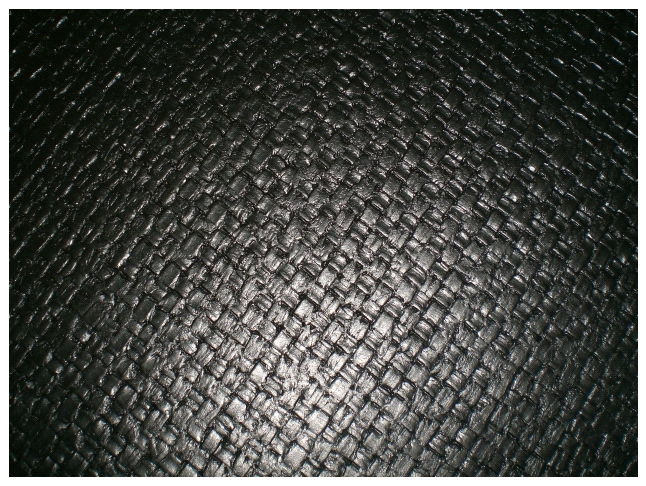 These metal reinforced graphite strands, Slade’s weaving yarns, are woven into a tough, resilient cloth-like sheet. The flat metal leaf springs at the core of each strand crisscross each other throughout the cloth to impart an enduring resiliency. The woven sheets are compressed to increase density to form a leak tight gasket sheet.